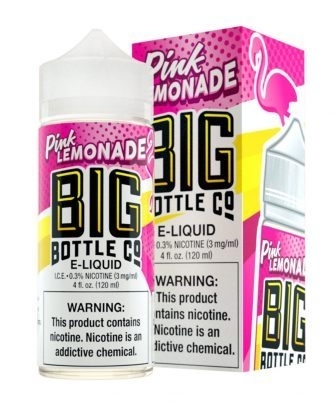 Pink Lemonade by Big Bottle Co. is a Pink Lemonade free base E-Liquid that comes in a 120 ML bottle. A fruity, tart glass of Pink Lemonade mixed with berries and freshly squeezed lemon that will make you book your next beach getaway. The price for the juice on Big Bottle Co.'s website for the E-Liquid is $24.95. The E-Liquid produces decent cloud production and the marketing label on the bottle is on point. The flavor profile is good based on the bottle but if you do your homework and look at the description of the juice on their website as well, you get a tad more information. The E-Liquid is a tangy and delicious juice that I feel I would keep on hand to rotate through with my other juices. As mentioned above, the value is great for the amount of juice you get. For a more detailed review, please check out the video below.